Walmart is selling LG Android smartphones for $10. There have been many cheap Android smartphones as of late, and premium smartphone manufacturers such as Samsung have been hurt by these more affordable alternatives. While some of these devices like the Mozilla Firefox OS which costs just $25 are really quite cheap, Walmart is taking it a step further. 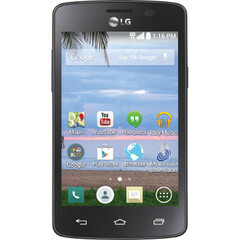 The giant retailer is offering the LG Sunrise L15G and the LG Lucky L16G for $10 with TracFone. The two are variations of the same smartphone, and consequently, both have the same specs. The devices have a 3.8 inch display with 480x320 resolution and a 1.2GHz Snapdragon 200 processor. The smartphones also include 4GB of storage and a 3 MP rear-facing camera. Unfortunately, the amount of usable storage is a little over 1GB. In order to overcome this small amount of storage space, the devices thankfully come with a 4GB microSD card, as the Lucky and Sunrise are expandable. Both devices run on Android 4.0 Kit Kat, which is the most widely used version of the OS despite it being two years old. Overall, it seems as though the affordable smartphone market is only getting more competitive, and Samsung as well as other premium smartphone manufacturers will have to innovate beyond just providing better specs in order to justify their high asking price.